Home / Blog / What is the Difference Between Modern and Contemporary Furniture? What is a modern design? Although you would think that modern furniture refers to designs from our present time, it refers to designs from the 1920s to 1950s. This is so because it was during that period that furniture design saw a drastic shift. The full term for furniture from that era is mid-century modern. Before that time, furniture was hand made and designed mostly for show. In the 1920s furniture design evolved to be more functional. The modern design emphasizes simplicity and clean lines and normally uses materials such as wood, leather and teak. Less commonly used materials are plywood and plastic. Contemporary furniture as the very name suggests refers to designs that are currently in fashion. It includes varying designs that are popular, growing and changing. This type of furniture is concerned with comfort and function. There can be no real comparison between modern and contemporary furniture design as one refers to a specific period while the other refers to whatever is in style now. In fact, contemporary furniture is sometimes influenced by modern furniture. Contemporary interior design involves mixing and matching furniture pieces to suit an eclectic style. In a few generations, contemporary furniture will be known as something else and what is popular then will replace this category. Are you searching for modern or contemporary furniture in Vancouver? The Zoom Leather Accent Chair is a replica of the Hans Wagner Shell Chair. It is a classic bent plywood chair veneered in premium walnut woods and upholstered in Italian top grain leather. A Conversation Piece Accent Chair is great for relaxation, unwinding and having a conversation with friends. This armchair is an ideal piece for the living room or lounge area. It’s even comfortable enough for the bedroom or a nursery. The Natura Retro Coffee Table is a versatile and classic piece with a triangular shape that works well in any space. This table has a clear tempered glass top resting on a durable walnut wood base. 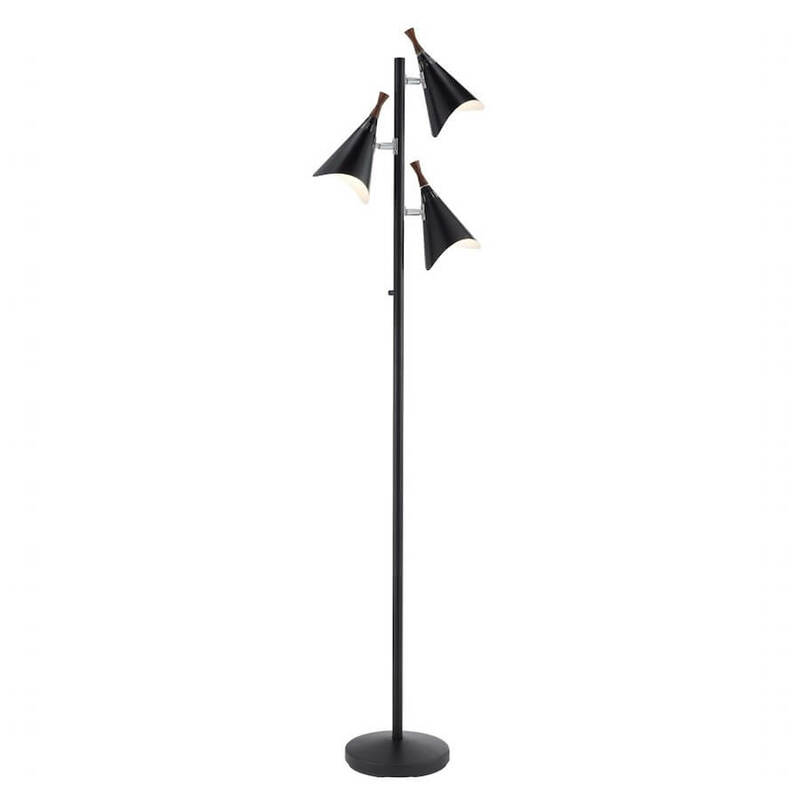 The Astoria Metal Arc Floor Lamp has a slim arched arm with a large dome-shaped metal shade. This lamp also features an antique brass finish paired with a thick marble base which gives it a mid-century modern yet contemporary feel, making it suitable for every style of decor. The Draper Tree Lamp is matte black with chrome accents and three adjustable shades. This lamp is stylish and offers flexible lighting. Each shade has walnut wood accents that soften the look to fit a variety of spaces. The M1 Power Recliner Sofa is a statement piece. This sofa has a powerful independent head and footrest that are engineered without disrupting the integrity of the design. From its handcrafted tailoring down to its polished chrome legs, the M1 radiates luxury and is made in Canada. The Tender BOX ART sofa is as comfortable as it is stylish. Its inviting design is complemented by optimal seating depth and luxurious box spring cushioning which create the ultimate getaway for rest and relaxation. This sofa is also made in Canada. The Oliver Porcelain Extension Dining Table has a stunning porcelain table top with a Bianco Carrara marble finish atop powder-coated black legs. Its extendable side leaves can be easily pulled from each end or stored underneath. Koncept’s Z-Bar Bird Pendant Light is a unique and customizable pendant fixture that can connect, float, and hang however you prefer. The Z-bar pendant light can be fashioned into multiple shapes to illuminate any space and is energy-efficient. It is also environmentally friendly as it is made from fully recyclable aluminum and uses LED lamps that do not contain mercury. For any of these items and so much more, come visit our Vancouver furniture store conveniently located in the heart of South Granville.